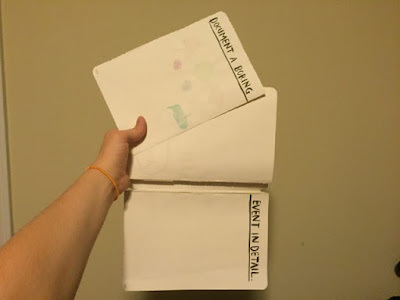 I'm only about halfway through the journal, too. I sort of can't wait to see how it looks when I'm done with it. 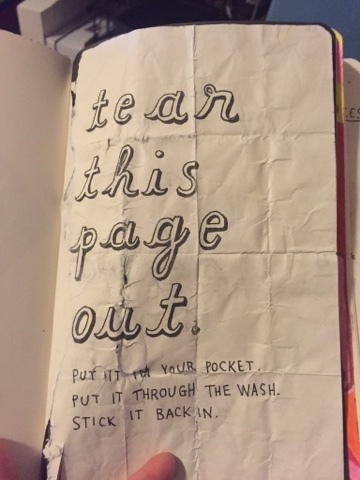 I tore out this page, put it in the pocket of a pair of jeans, and ran the jeans through a complete wash and dry. It's sorta crinkly and stiff now. It looks really messy and I just love it. My journal isn't in very good shape after being dropped off the top of a parking garage and rolled down a hill. 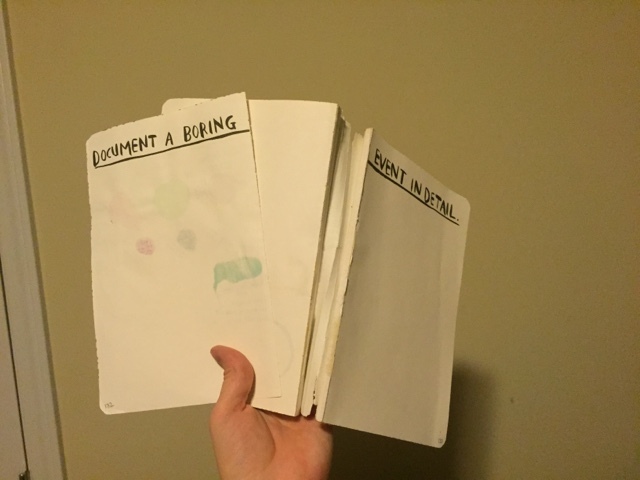 Only one page has fallen out so far, though.